It turns out that the economy in small countries which, economists professed that it allows these countries to become independent from foreign aid, starts to be affected by the economic crisis occurring in developed nations, and Cambodian government officials start to recognize this fact as well. 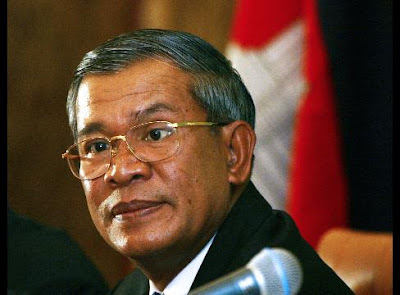 In the past, Cambodian government officials used to say that economic crisis in Western countries will not seriously affect Cambodia’s economy because Cambodia’s economy is small. In the garment sector, the World Bank issued a report on Sunday, indicating that Cambodia lost more than 30,000 jobs in this sector because factories are closing their door in Cambodia. The reason for these closures is because of the drop in foreign garment orders. The World Bank wrote that 94 of the 116 countries on the verge of development are facing economic slowdown. When the world is facing with an economic crisis, their leaders are looking for means to pull it up so that investors have confidence and are willing to invest in the businesses. In doing so, these investors are creating more jobs for people, and bringing income for people to spend. In the US for example, the government is spending billions of dollars to provide help to companies that are facing major losses. The government is also helping their citizens cope with the situation by lowering income taxes, as well as providing stimulus funds to each family. On the other hand, in Cambodia, if people are jobless, the government does provide any safety net to help these jobless workers live for a while at all.